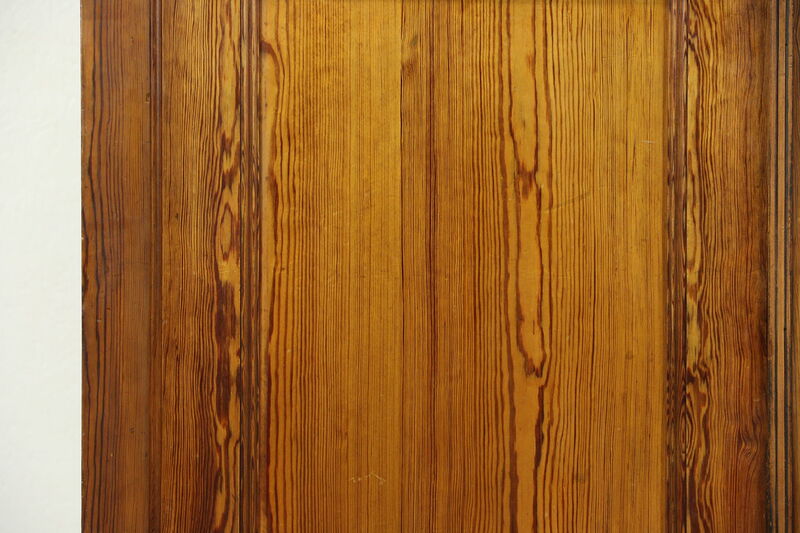 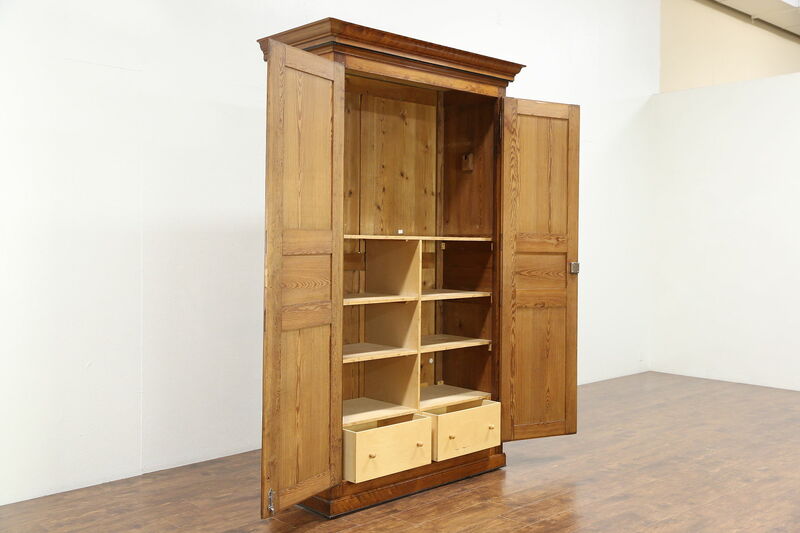 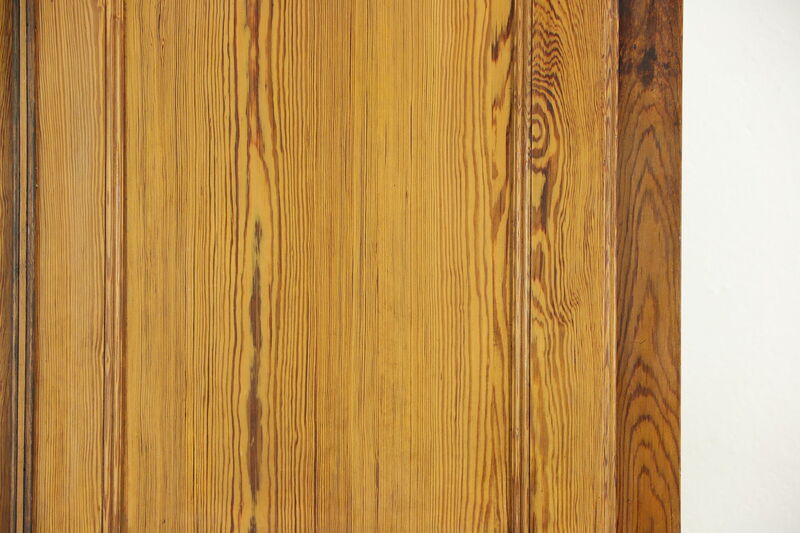 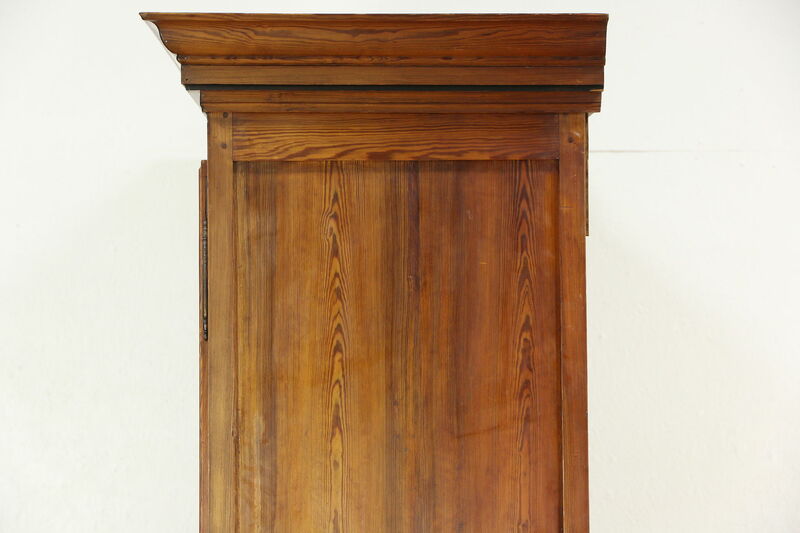 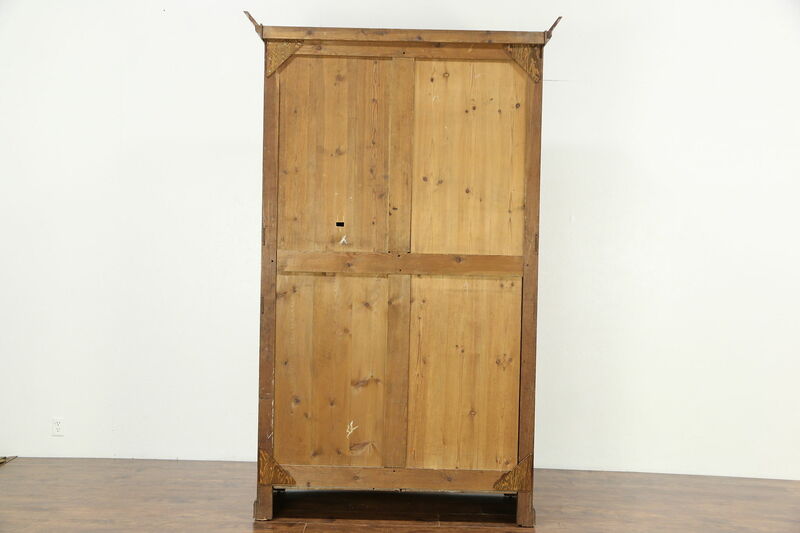 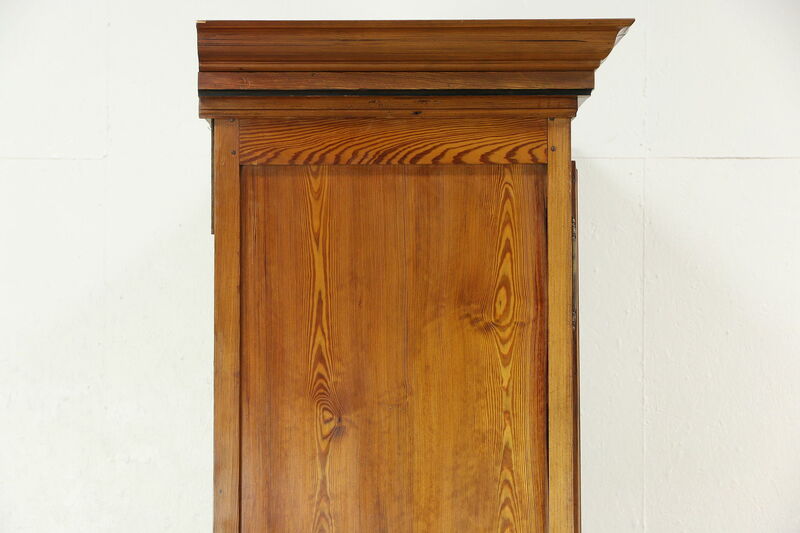 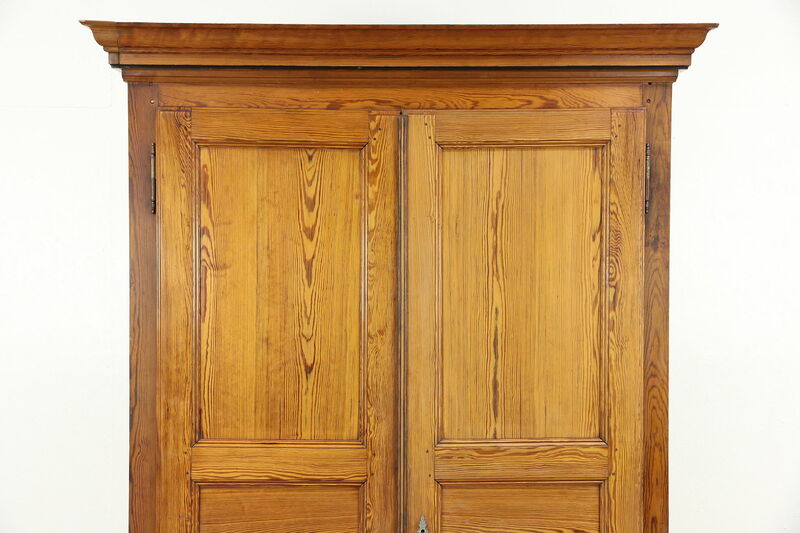 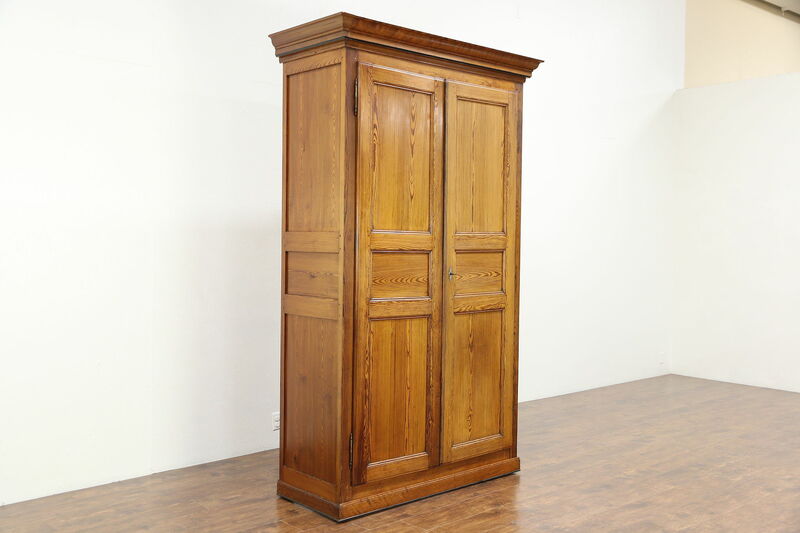 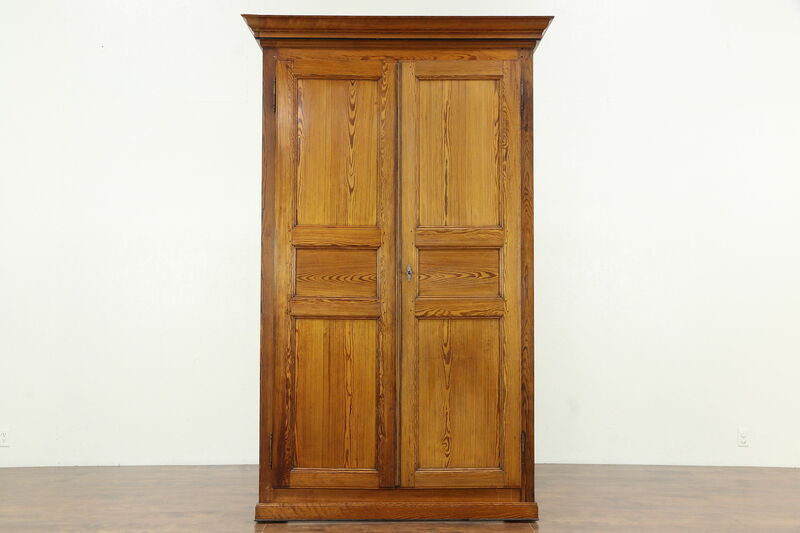 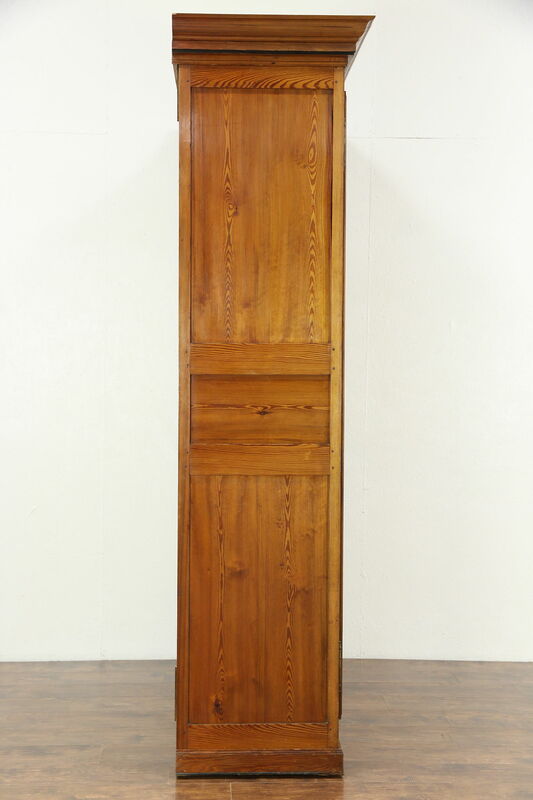 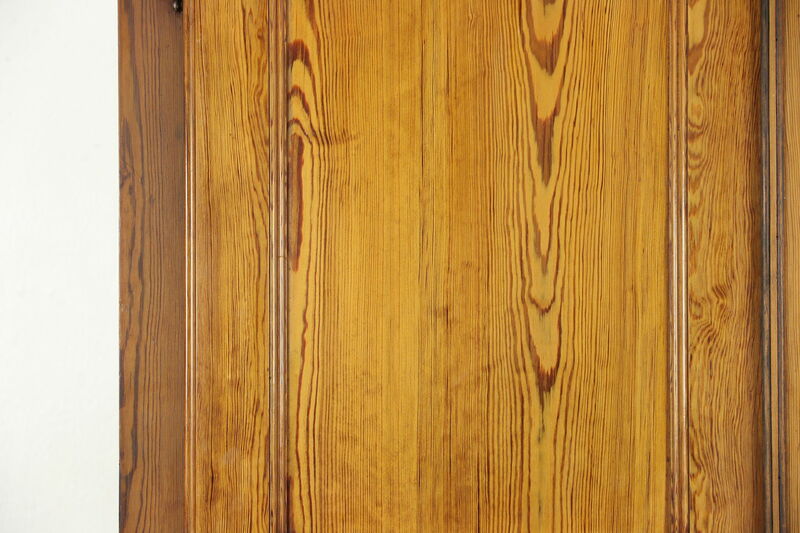 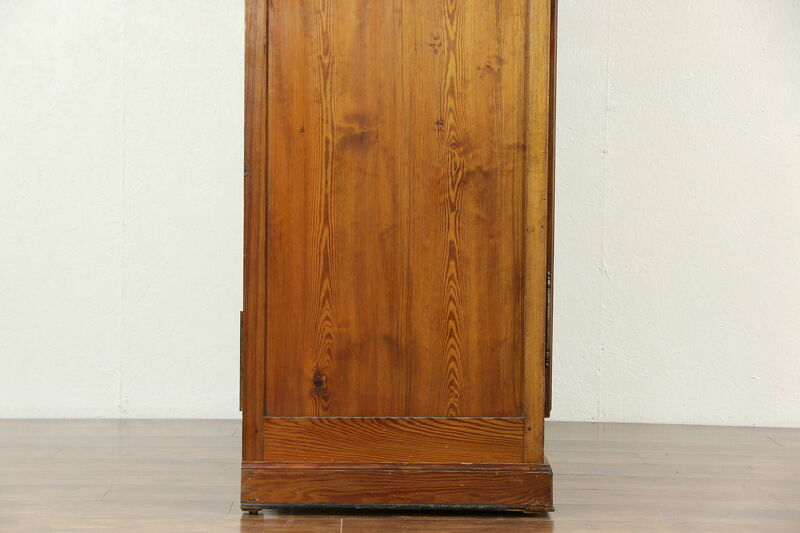 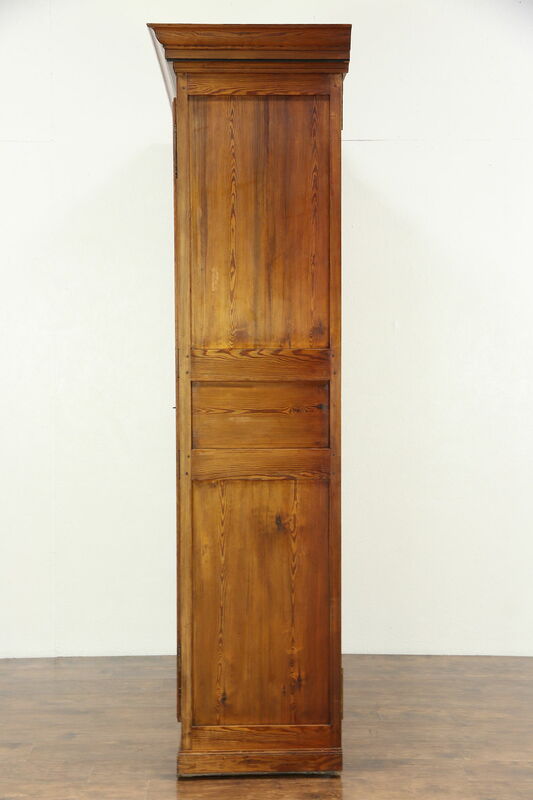 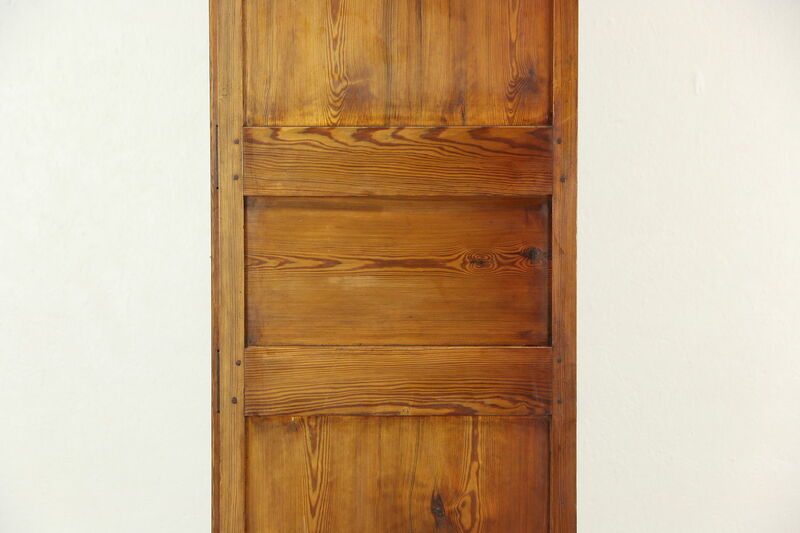 A solid pine armoire, wardrobe or closet was hand crafted about 1890 in what is now the Czech Republic, then the Austrian province of Bohemia. 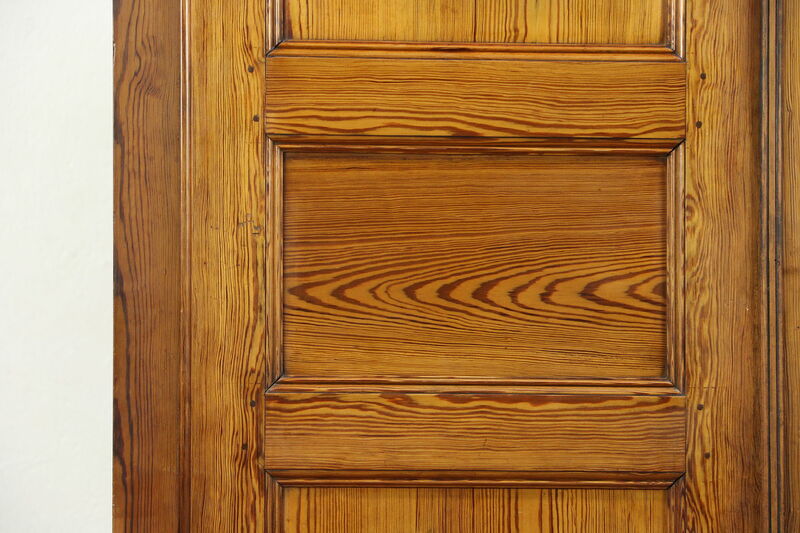 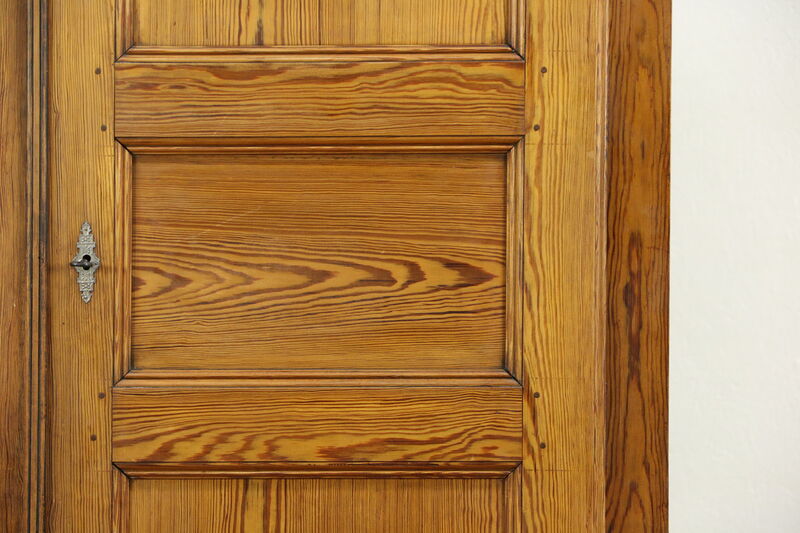 The old wax finish has wonderful warm patina, and has been buffed so that just an occasional wipe with a soft dry cloth will maintain its luster. 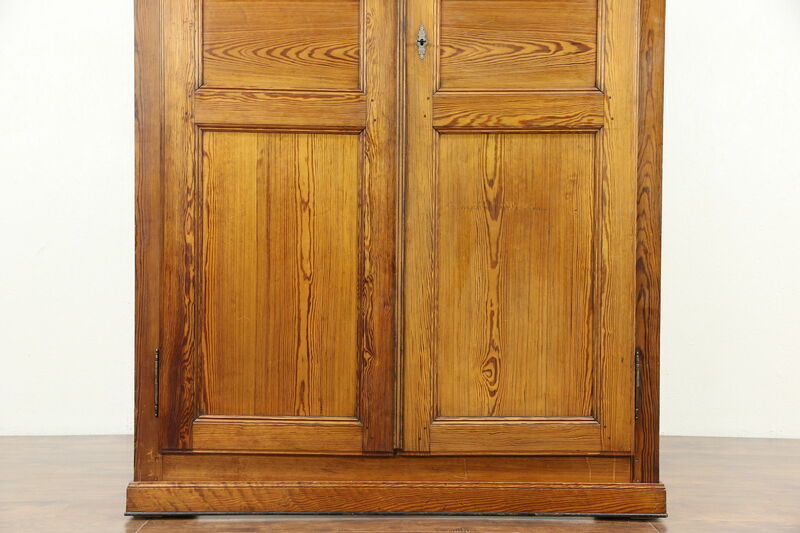 Doors have lift off hinges and a working lock on this antique European furniture. 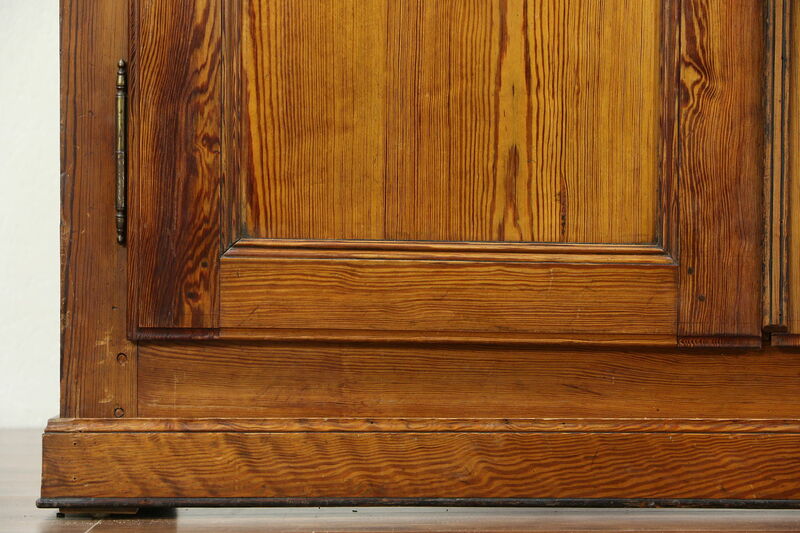 Joints have wooden pegs, every surface has hand planing marks. 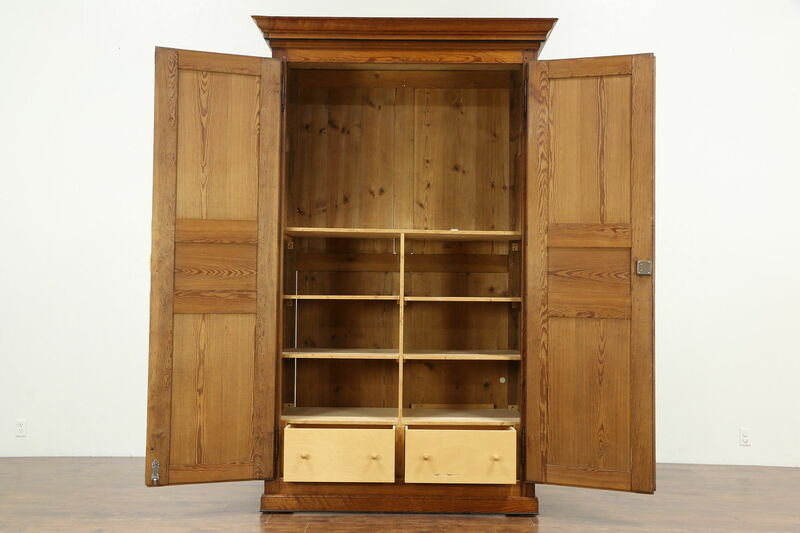 Inside are modern drawers and shelves that are removable, there are also sockets that could hold a closet pole if desired. 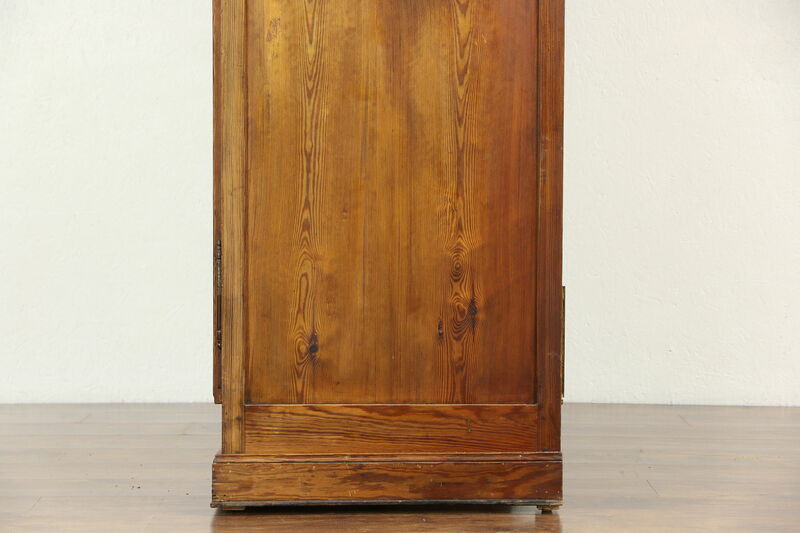 In the back is a hole for electronics cables. 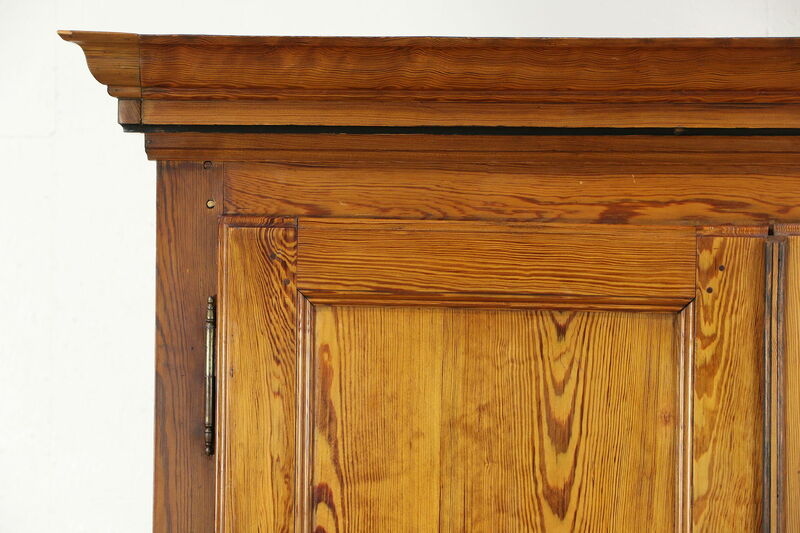 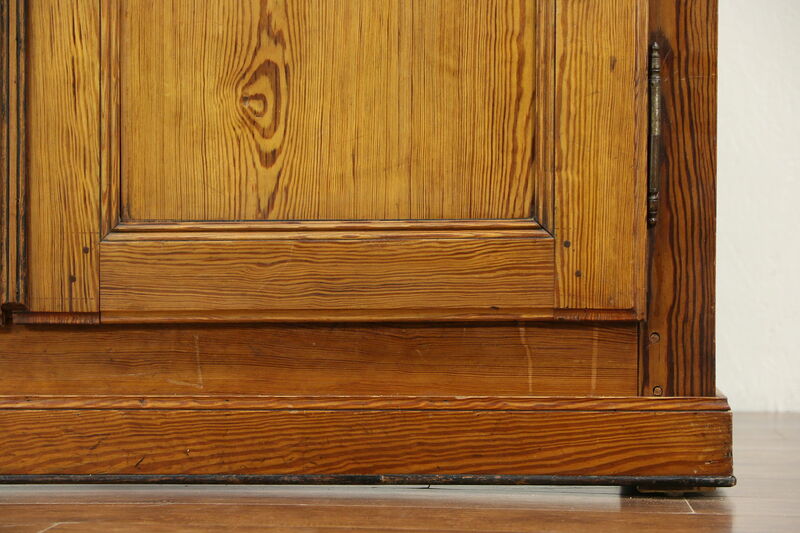 The crown is removable, but the rest of this historic cabinet does not disassemble. 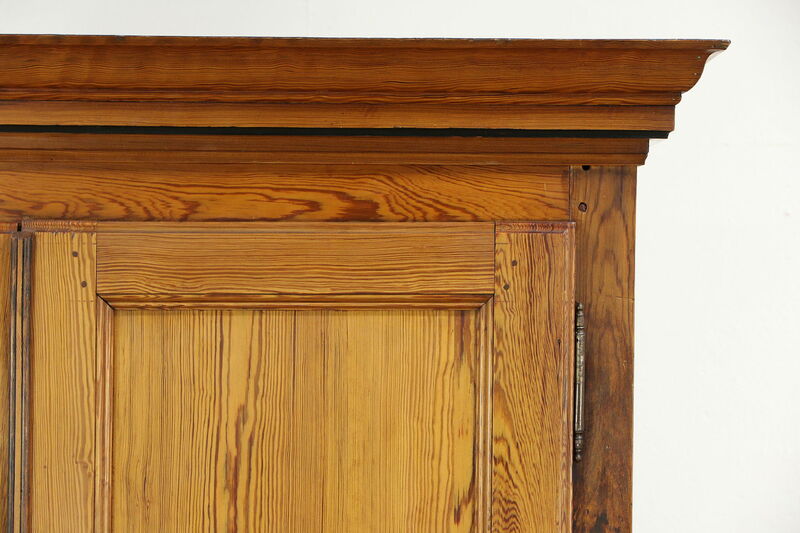 There is a restoration to the left corner of the crown, see photos. 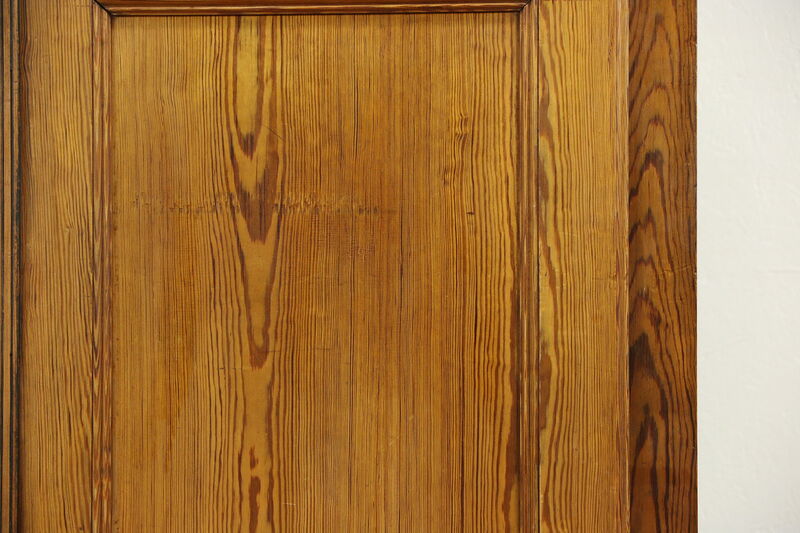 Measurements are 61" wide at the crown, 54" wide in the body, 26" deep and 99" tall. 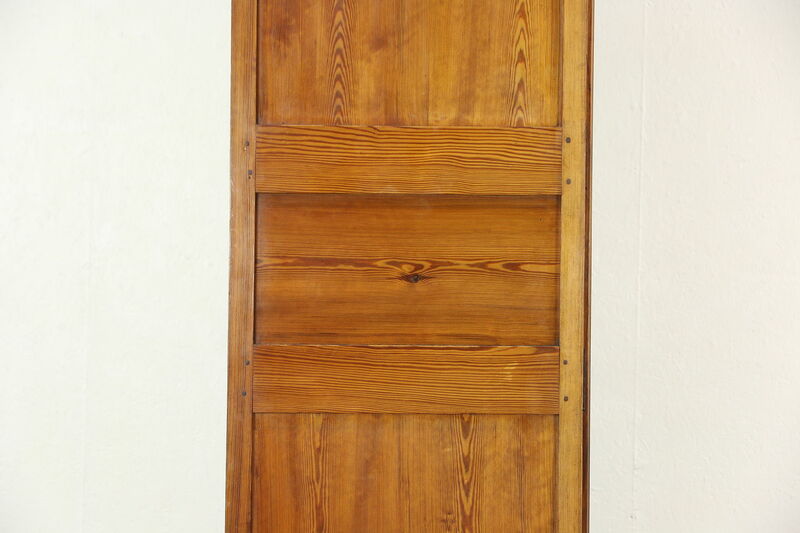 The interior is 20" deep.